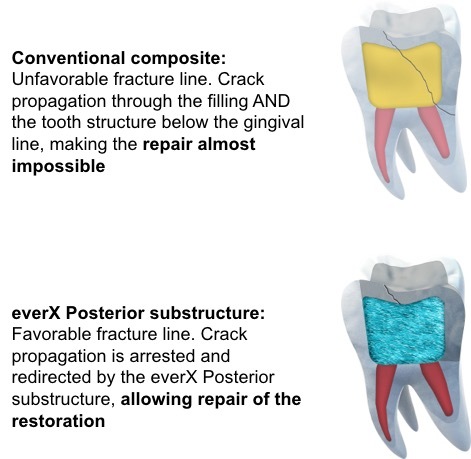 everX Posterior is a fibre-reinforced composite designed to be used as dentin replacement, in conjunction with a conventional composite such as Essentia Universal shade used as enamel replacement. 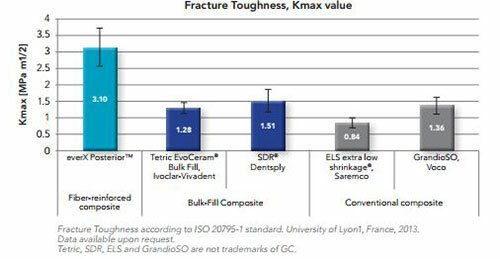 The short fibres of everX Posterior will make it a perfect sub-structure to reinforce any composite restoration in large size cavities. Fibres will also prevent and stop crack propagation through the filling, which is considered to be the main cause of composite failures.